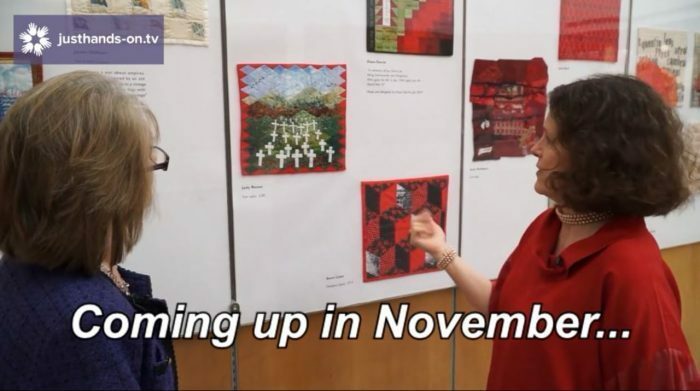 Coming up in November on Justhands-on.tv…..
As this November is the 100th anniversary of the end of World War One it seemed fitting that we re-visit an extraordinary exhibition by the London Quilters that movingly commemorates that terrible conflict and allows us to reflect on the sacrifice and loss it represents. 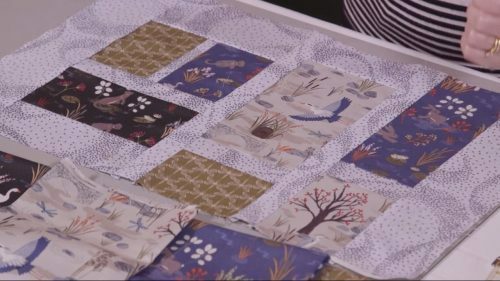 Back in September we were lucky enough to visit the West Country Quilt Show which took place at the UWE just outside Bristol where Valerie learnt about The Tentmakers of Cairo; we get to see the extraordinary designs and fabrics developed from a very traditional and ancient textile tradition which for practical reasons, was originally a male dominated industry. 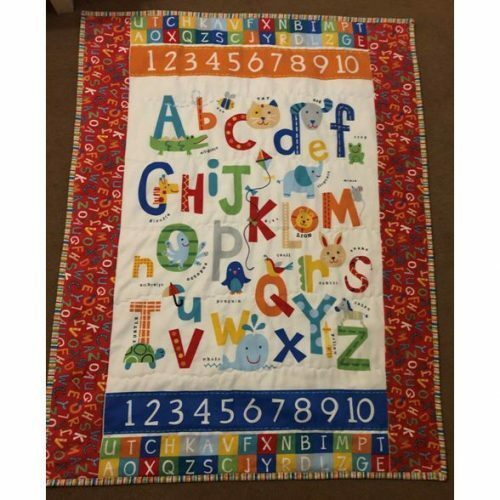 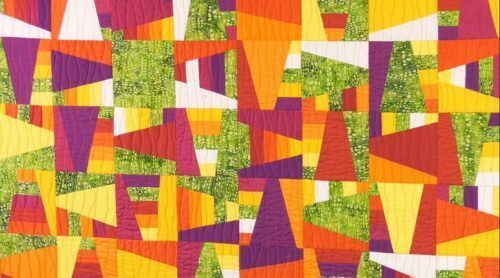 On the workshop front, Valerie shares with us a delightful, autumnal quilt made using Scarecrow inspired fabric from Lewis and Irene and designed by Sally Ablett; and continues with the First Sampler Quilt series where you get to make the Shoo Fly, Monkey Wrench, Prairie Queen and Jacobs Ladder blocks. 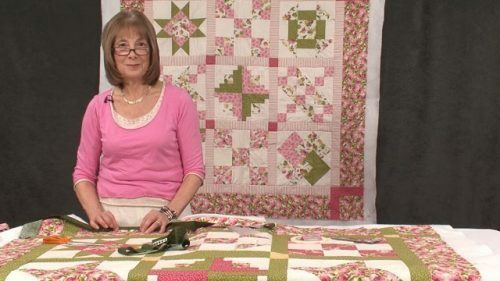 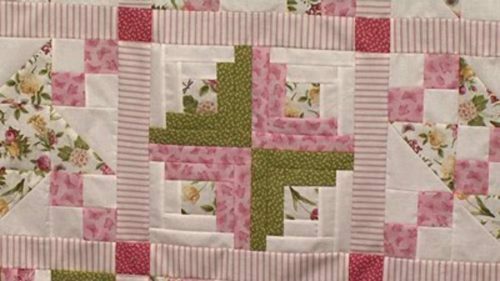 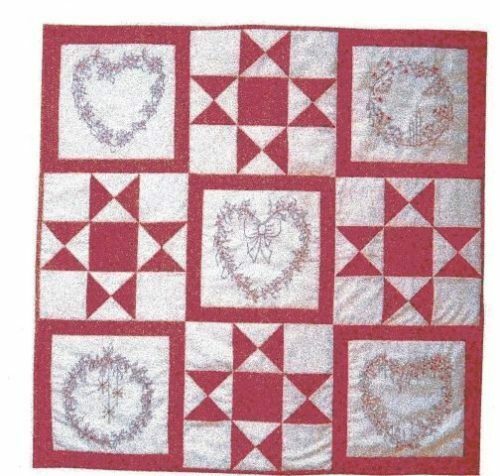 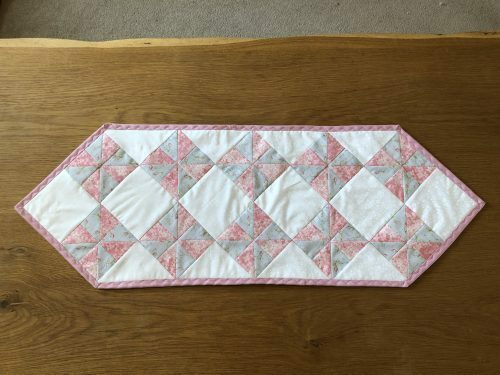 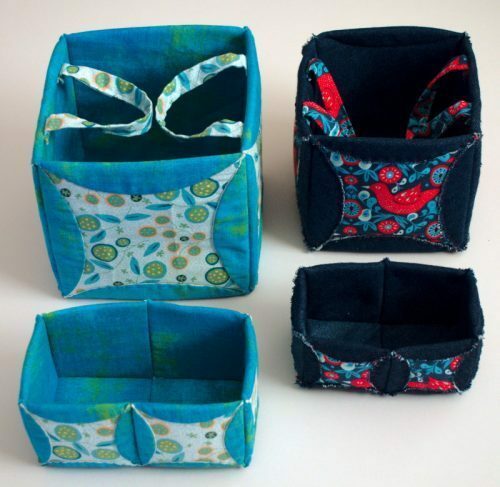 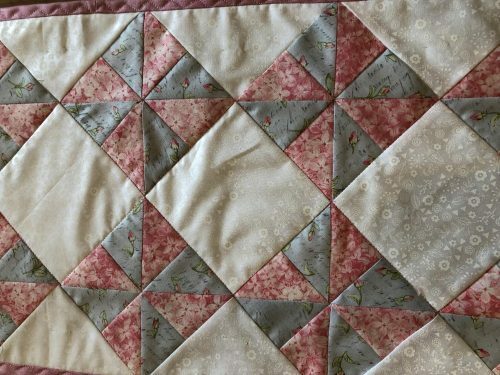 This month we meet Helen Howes, a very passionate modern Quilter, who loves improv blocks and who shows us a very simple technique for creating these lovely Wonky Star blocks. 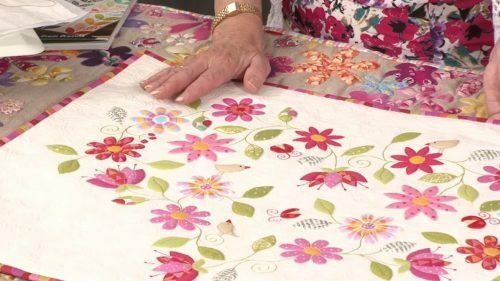 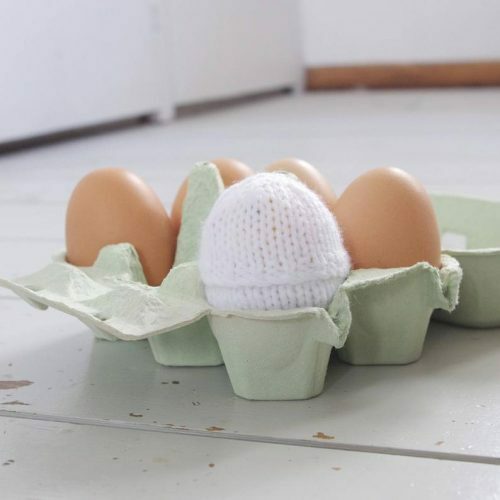 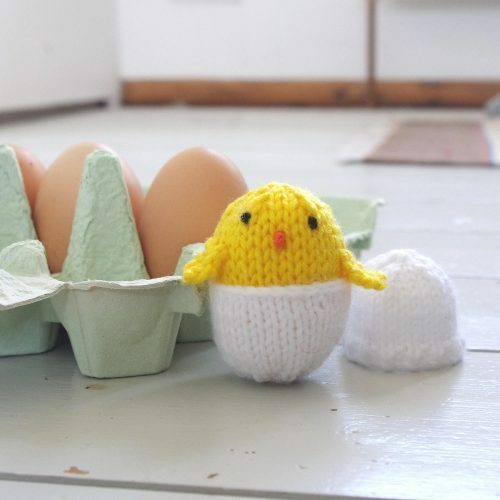 Jennie Rayment makes a few appearances this month starting with a great workshop on how to use your microwave for dyeing fabric for our Throwback Thursday slot; how to finish your cushion with Piping – the Jennie Rayment way – as well as a super tip on how to avoid a birds nest on the back of your work, when starting to machine stitch.